Steve Chase, a long-time activist, educator, and writer, is ICNC’s Manager of Academic Initiatives and a Regular Contributor to ICNC’s Minds of the Movement blog. 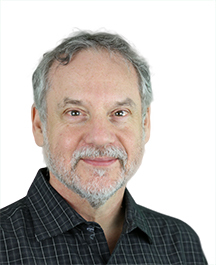 His work supports academic research, curriculum development, classroom and online learning, and other educational efforts, with the aim of connecting practitioners and scholars. Before his graduate work at Antioch University, Steve worked for eight years as an editor at South End Press, a nonprofit book publisher serving academics and organizers interested in social movements, human rights, and social change strategy. Most recently, Steve worked as the Director of Education at Pendle Hill, a Quaker study center outside of Philadelphia, where he focused on deepening the capacity of faith-based activists to engage in effective and strategic nonviolent action. As part of that work, Steve wrote two pamphlets published by the Pendle Hill Pamphlet Series: Revelation and Revolution: Answering the Call to Radical Faithfulness and Boycott, Divestment, and Sanctions? A Quaker Zionist Rethinks Palestinian Rights. He now serves on the education committee of the Quaker Palestine Israel Network. Steve still remembers with a chuckle being yelled at by his grandfather as a thirteen year old for reading Gandhi’s autobiography. Gandhi’s influence seems to have stuck.